Ranked on Money Magazine’s list of the “Best Places to Live” and on Forbes “Americans’ Top Hometown Spots”, Pleasanton really is a special place. This Alameda County town is home to only 70,000 people but sits a world apart from the rest of the Bay Area. Pleasanton is not only an exquisite and affluent community but one rich in natural landscape, culture and that cozy small town feel. Located along the rolling foothills of the East Bay, Pleasanton’s proximity to Mt. Diablo and wide network of trails make it a perfect visiting place for all lovers of the outdoors. The Pleasanton Ridge Regional Park on the west side of town is impeccable in it’s simplicity and a must visit for those in the region. Pleasanton holds on to it’s small town feel by hosting a number of events, farmers markets and parades. One of these events is the First Wednesday celebrations organized by the Pleasanton Downtown Association. A street fair is erected on Main Street and people can enjoy food, drink and dancing. Friday Concerts in the Park is another popular series showcasing local bands at the Lions’ Way Side park near First Street. Firehouse Arts Center opened in 2010 adding to the plethora of artistic opportunities in Pleasanton. Another attraction that adds to Pleasanton’s small town feel are the Alameda County Fairgrounds. With a wide range of attractions the Alameda County Fair is a must visit in Pleasanton for people of all ages. For those who are more interested in shopping Pleasanton is home to the Stoneridge Mall. Stoneridge houses hundreds of stores from lavish to simple. For all these reasons and more Apex Limousine Transportation now offers full limousine services to residents and visitors of Pleasanton. No matter what the specific occasion, our stunning fleet of luxury SUVs, sedans, and limousines complimented with our staff of professional limo drivers are available. We specialize in weddings limo transportation, airport transportation (SFO,OAK, SJC), junior prom, senior ball, San Francisco excursions, sporting events, concerts and Napa Valley Wine Tours. 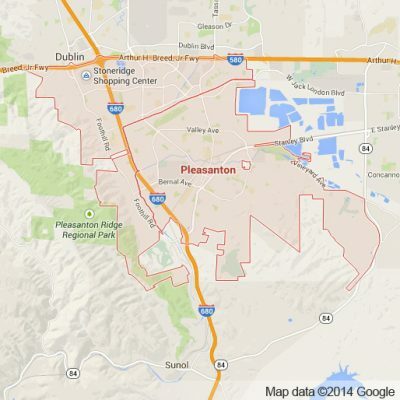 For those who are also visiting the Bay Area for the first time we offer comprehensive services to explore all of the interesting, artistic, cultural and natural attractions of Pleasanton. For those residents of Pleasanton planning their wedding we work directly with you to ensure that our limousine services are just what your wedding day needs. For parents and students who want to get to their senior ball or junior prom safely and have a good time while doing it our limousines are consistently a family favorite. For those residents of Pleasanton looking to explore other corners of the Bay Area and Northern California our knowledgeable limo drivers will take you to restaurants, clubs, bars and anywhere else in San Francisco or Oakland from Pleasanton. If you want to see the world famous Napa Valley Wine Country, we will work directly with you to develop an itinerary that meets you and your party’s specific tastes and interests. We will take you to a number of world class wineries and it will be an adventure you never forget. Apex Limousine Transportation is a different kind of company. We not only take pride in what we do but we work hard to make sure that every second you are with us – from the planning stages all the way through the last drop off – that you are satisfied, excited and asking for more. Join us and together we can make your dreams come true one ride at a time. Please call us for car service all inclusive total for Pleasanton to/from Napa Valley transfer.